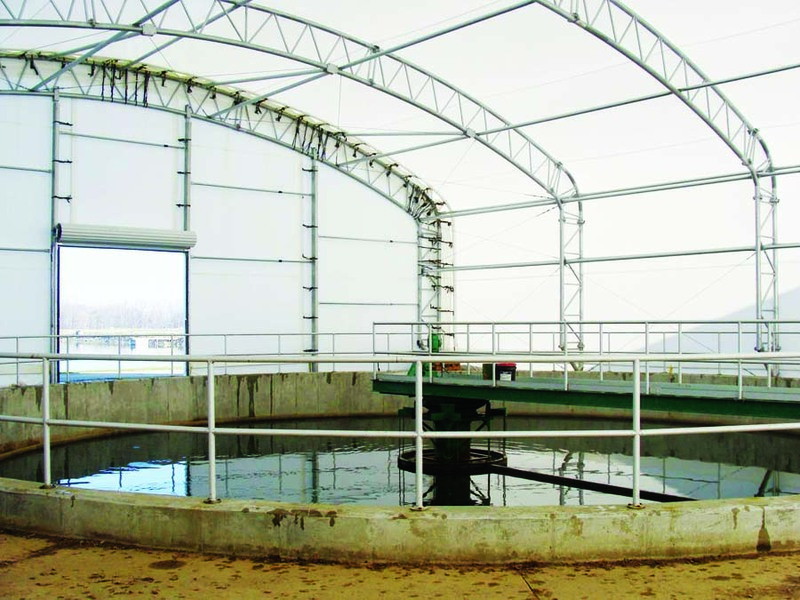 ClearSpan Fabric Structures provides design-build solutions for wastewater facilities, covered sludge beds and more. Hercules Truss Arch buildings feature high clearances and spacious interiors without support posts, allowing ample space for tanks and catwalk systems. Buildings are outfitted with frames constructed from triple-galvanized structural steel that will hold up in corrosive environments.